The Herb Pot and Strawberry Pot both have large pockets to make planting easy and when combined with the wide rim, provide a generous planting area for all types of plants. 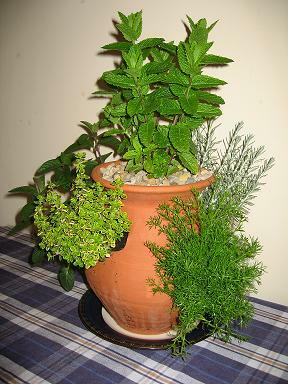 Consider themed planting in them, such as single colour flowers or Italian seasoning herbs. 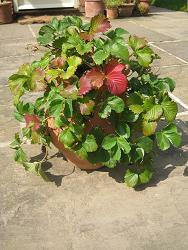 Just remember to check the chosen plants are compatible and provide good drainage in the base of the pot. The classical herb pot left) and barrel herb pot (right) offer the same attractive features as the strawberry pot but on a smaller scale. Again the design of the pot is functional, providing a very large planting area for the volume. The herb pot, when coupled with a waterproof glazed saucer, is ideal for growing large amounts of fresh seasoning herbs in the kitchen and makes the perfect present for any budding cook. A classical ‘urn’ shape and ‘pockets’ up and down the sides of the pot. They were traditionally made for growing strawberries, with well spaced planting, good drainage and very healthy growth that smothers the pot, see the picture to the right. 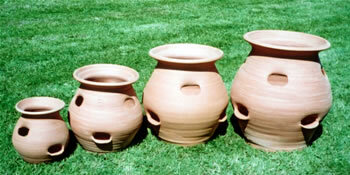 Strawberry pots are available in small, medium and large sizes.